That’s it. 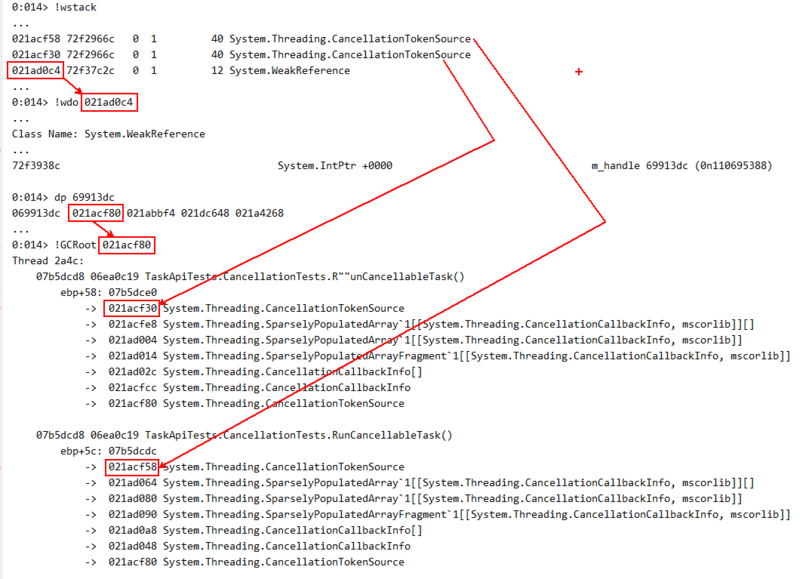 When linked CancellationTokenSource is getting disposed it unregisters itself from the linked tokens callbacks tables and no leak is present. To conclude: always dispose CancellationTokenSource instances when you are done using them.